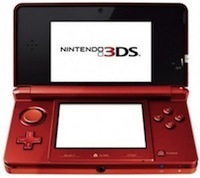 As Nintendo promised, the next 3DS update is good to go. This version will update the system menu to 2.1.0-3U. The update itself fixes the screen freezing issues with Ridge Racer fixes other minor bugs to help increase system stability. Nothing too major, but it’s nice to know that Ridge Racer won’t freeze anymore… Hopefully.